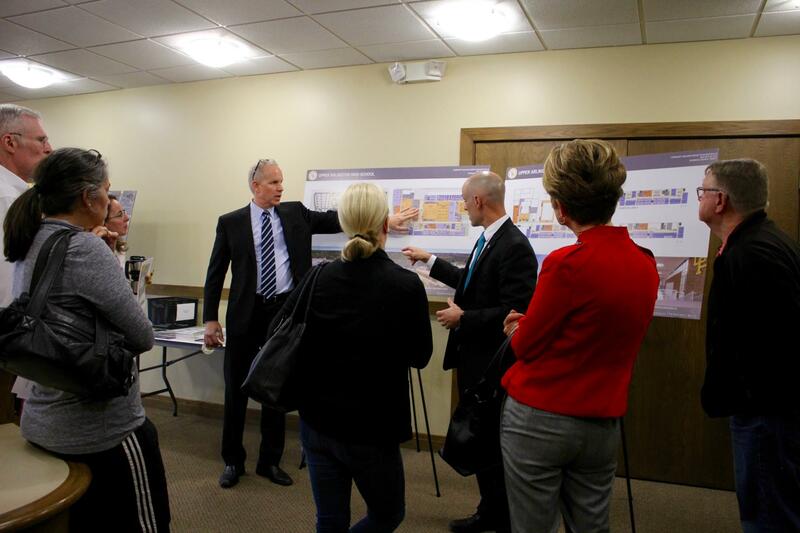 Since the fall of 2015, the Upper Arlington community has come together to craft a long-term, financially sensible master plan for the district's aging schools and inform the design process for the six projects in the first phase of the master plan. 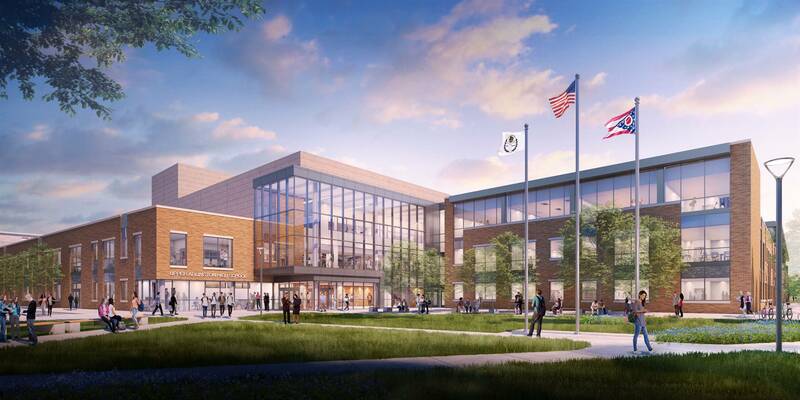 In the spring of 2019, Upper Arlington Schools will begin BUILDING OUR FUTURE for the Upper Arlington students and community of today and generations to come. 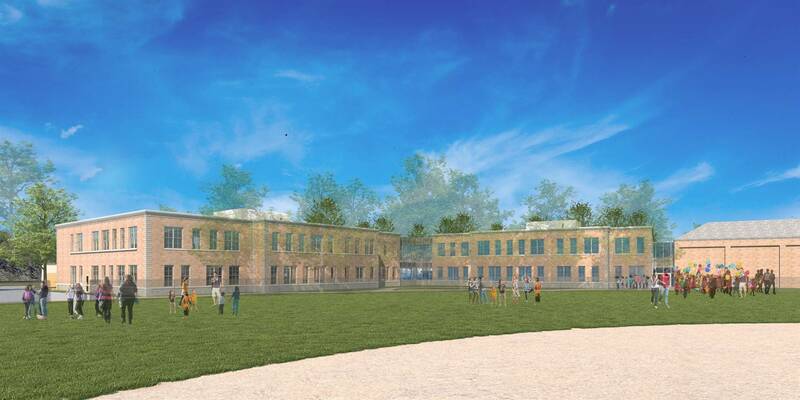 The first phase of the community's master plan will build a new Upper Arlington High School and renovate or rebuild all five elementary schools. The first phase also includes building athletic fields on the district-owned land behind Tremont Elementary School adjacent to Northam Park. The new and renovated schools have been designed to provide much-needed additional space for the district's growing enrollment. In the event that growth excceeds projections, each project has been designed to have a logical place for a classroom addition, if needed. The projections as of October 2018 indicate districtwide enrollment growth of approximately 1,250 students, or 20 percent, in the next 10 years. Construction for the first phase of the community's master plan is expected to follow the tentative timeline below, updated as of March 2019. This timeline may be revised based on any potential delays that arise. Please join us for the following groundbreaking ceremonies this spring! Select a photo to view more images and information about the final building and site plans for that school. Please note that the final designs are subject to minor adjustments. Construction began in May 2018 on the Tremont athletic fields on the district-owned land behind Tremont Elementary School adjacent to Northam Park. In September 2018, the first element of the new Tremont athletic fields - a turf field - opened. Work is continuing on the final elements of the new Tremont athletic fields - baseball and softball diamonds, storage and restroom facility - which will open in the spring of 2019. 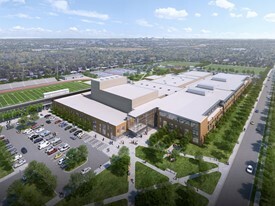 Site work and site utilities will begin in prepapration for construction of a new Upper Arlington High School. Construction will begin on the high school stadium, with spring sports relocated. Tremont will be prepped for the arrival of modular classrooms for use during the 2019-2020 school year. 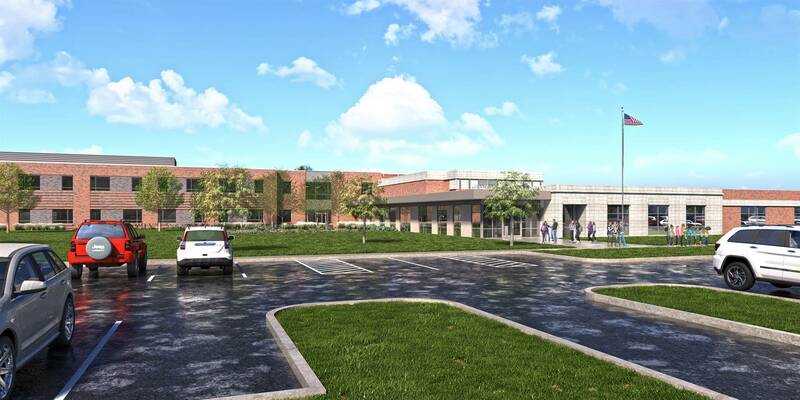 Community groundbreaking ceremonies will be held and construction will begin on the high school, Barrington, Greensview, Tremont and Wickliffe sites. The high school stadium will be completed. 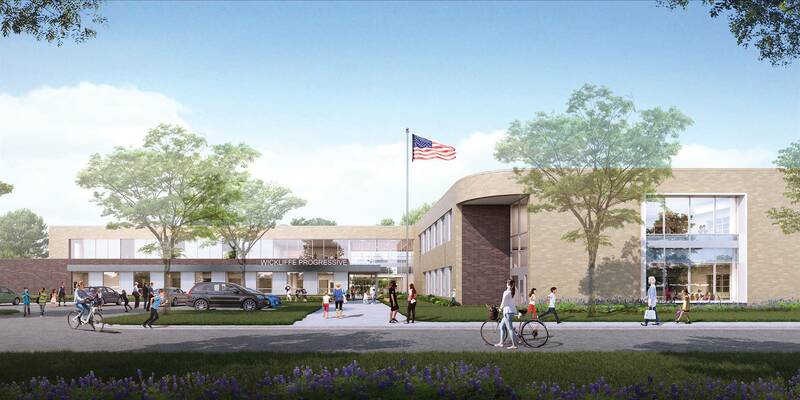 As construction continues at Barrington Elementary School, the site will be prepped for the arrival of modular classrooms for use during the 2020-2021 school year. 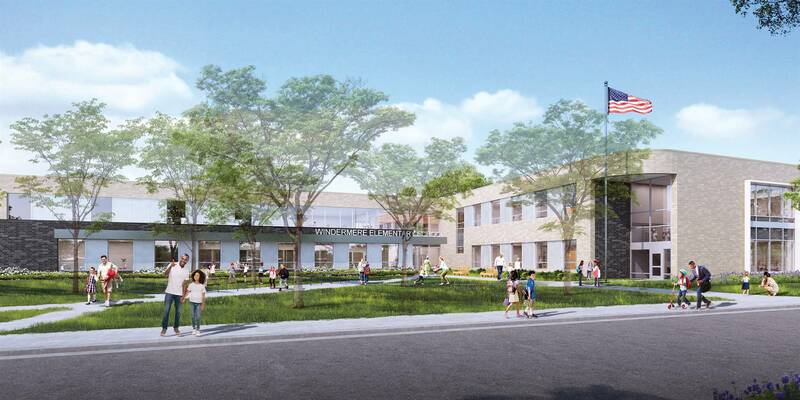 Demolition of the current Windermere building begins to make way for the new school to be built on the same footprint; the old Wickliffe will serve as transitional space for Windermere students for the 2020-2021 school year. The new Greensview and Wickliffe Progressive elementary schools and the renovated Tremont elementary school will open to students. 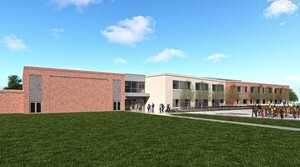 The new Windermere and renovated Barrington elementary schools, as well as the new high school, will open to students. Work will continue on the high school site to demolish the old building and develop athletic fields. 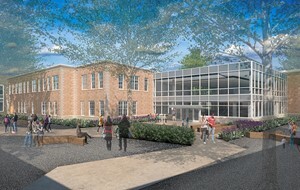 The new high school site and the first phase of the community-developed master plan will be fully completed. 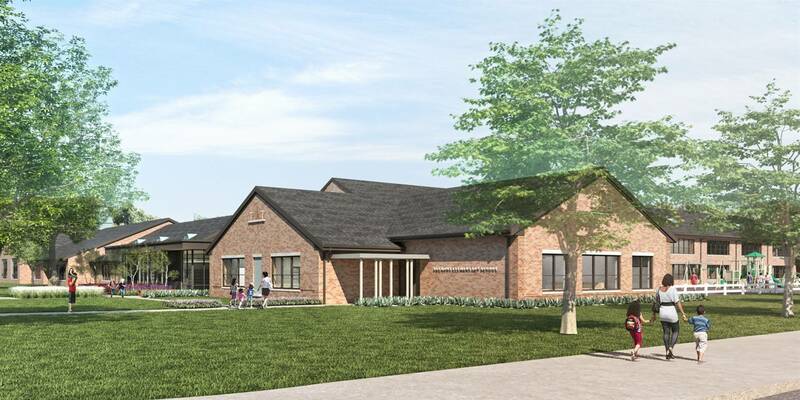 After the completion of the first phase of the master plan, the Upper Arlington Board of Education and the community will need to revisit the second phase of the master plan, including the two middle schools and Burbank Early Childhood School. If you have any questions regarding the design plans or the construction process, please contact facilities@uaschools.org.